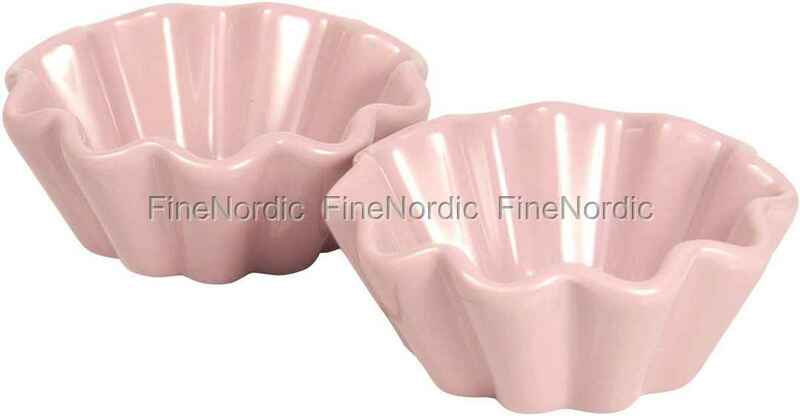 A yummy cupcake, fluffy pudding or the healthier option: a serving of fruit salad, all this and more can be served in the pink cupcake bowl from Ib Laursen. The bowl has a diameter of 10 cm at the top and 6 cm underneath, making it perfect for portioning treats. The form is sold by piece, but you may order several of them, because your guests will be amazed when you serve them filled with delicious cupcakes at the next get-together. The pretty pink forms are very attractive, so they can be directly placed, with its content, on the dining room table. Do you like it a bit more colorful? Then simply mix the Mynte English Rose form with other dashing colors from the Mynte cupcake bowl series.